The Toronto Dingos would like to extend our deepest sympathies to the Central Blues family, who recently lost premiership player, Team Canada representative and workout mastermind Jared Postance. Jared holds a special place in Dingo lore. 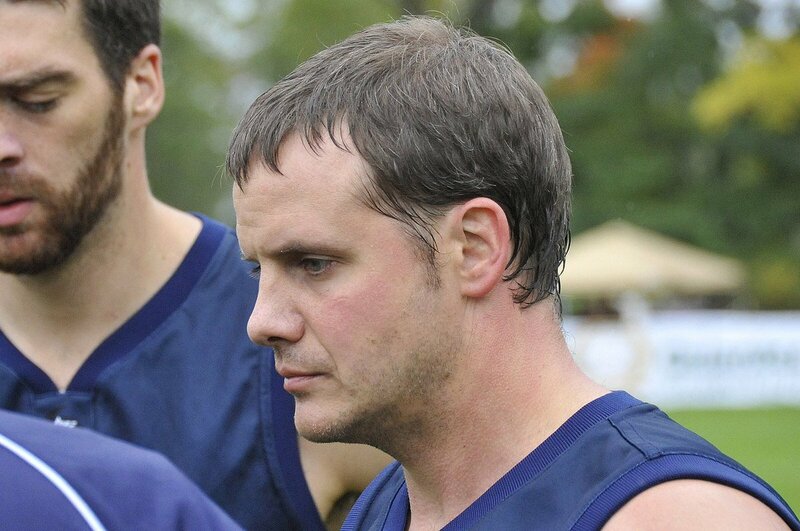 During his time at the DCC facility, Jared hosted some of the most intense, body-breaking workouts for the Dingos in multiple off-seasons, and internally became known as the unofficial coach of #teamspew. Time and again, a point would come during the workout when one unfortunate Dingo would be forced to visit the restroom and... succumb to the intensity of the workout. It became a galvanizing event for us as a team, and was a foundational part of our two most recent Grand Final appearances. But Jared was so much more than trainer and player - he was a kind and generous man who would give 100% on the field and be the first to have a beer with you after the game. With the recent passing of Tim Shaw, the Dingo family knows all too well how difficult it is to absorb a loss of someone taken far too soon. Our thoughts and condolences are with his family and with the Blues during this difficult time, and we look forward to honouring his memory in our first match against the Blues this coming season.